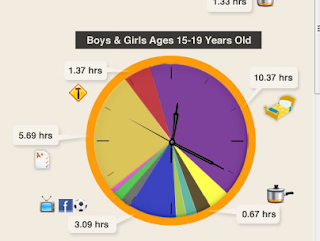 This is how boys and girls in the age 15-19 years old and who they spend their time. This is how an American teen spend their 24 hours. Do you agree? If not, what is different and who do you spend your time? What is typical an American teens life? This i a link to were you can find more stats about american people. What is a great differences between Norway and the United States? In my opinion living in Norway is better than living in the USA. I have never lived in the states and not trying to live the American dream. A great difference is the tax. Here in Norway we pay tax after how much we earn. The tax we pay is used to build roads, bridges, hospitals, schools, kindergartens and other official things that we need. In the states you have to pay for all this. An accident can ruin a whole family because they have to pay for the hospital. What do the tax you pay to the government get used to? Who much do a normal person in USA pay in taxes? Another question I got is how the American school is. Here in Norway we start school in an age of 6. We have seven years in a primary school and after that we have three years on a lower secondary school. Afterwards we also have three more years on high school. The first ten of these years is obligatory. And the three years at high school is optional but every Norwegian teen got the right to go to a high school. All this years is free and even university is free. Its just the private schools you have to pay for. Every public school is free. How is the school system in the states? Do you have to pay for school and how many of the years are obligatory? Is there religion teaching in school? In case if yes, what kind of religions are you learning? Religion in Norway is multicultural. After a lot immigration from other countries we have a multicultural country. Even if we are multicultural our national religion is the Christianity. We follow the Christian traditions like Christmas, Easter and Pentecost. Which religion is your national religion? Are you taught in different religions in school? Which religion do you follow and which holidays do you have? I hope you will help me whit these questions and i will gladly help you if you got some questions about cultural an social values in Norway. If I had yo wish for something it would have to be more pictures.